Church, family, friends, the smell of gun powder and the clanging of steel, reading, Alabama football, playing with my guns, enjoying nature, traveling, salt sea air and sand between my toes. Story of my life...too slow on the draw. I must have put enough likes and laughing emojis to this post to elevate me from Good to Excellent. Thanks to Trigger Mike. A great Pard to do business with. Willi.....thanks but bought one from Trigger Mike. Do laughing emojis of your own posts count? I noticed on my profile a Community Reputation section and then began going to that section on the profile page of others. How does a person make reputation commendations for others? I notice mine had 18 and I only had a good reputation. How is it determined if a member's reputation is good or excellent? Trigger, sending you a PM. Thanks, Ghost. I will try that. It is certainly worth a try. Thanks, guys, but every time I check with the CMP program they do not have what I want. I am not interested in one with a new stock, or with a barrel made in 1961, or a trigger group made in the 50s, etc. For several years, I have been looking at the gun shows for one that is not $2000-3000. They are all over the place for $1000-1500 but no-one will guarantee all period correct (WWII) parts.....only the receiver. The only way to know for sure would be to disassemble and check all part numbers at the show, which is impractical at best. I have found a couple being sold by a widow that I thought were what I was looking for,. She let me take them home and check part numbers. I was disappointed. One of them was in great shape and had all period matching parts.....produced in 1957. The other had all period correct parts, except a barrel produced in 1961. Both of these were purchased from CMP. I saw one on the WIRE last year, which was exactly what I wanted, but it sold by a PM about 2 minutes before I said that I would take it. I have been wheel spinning for years, so if anyone has one like I have posted please let me know. I am a relatively new member...joined in 2015...and have only been shooting CAS style since 2014. I have also been on the boards of numerous non-profits and have been a small business owner for 35 years. Guys......it costs much more to run a business than the average Joe even remotely understands. Given the expenses involved in the "real world" for any consumer item, the annual dues we pay for our SASS memberships is almost nothing. Due to the huge increase in expenses involved in recent government regulation in my business, we (and all those in my niche) had to dramatically increase our fees effective January 1, 2016...by 35%, and that just about breaks us even after taking into consideration the additional costs to do business. I understand that some folks are economically and financially strapped for many reasons., but given what is provided to us for a minimal fee (almost nothing in the big picture), there is nothing to realistic complain about. My personal experience with SASS has been WONDERFUL. Misty is always watching the WIRE and being helpful. Sure....sometimes things might not happen immediately, but there is always a satisfactory outcome. This is supposed to be FUN, so keep it FUN. If you are not having fun, you are missing the "spirit of the game." I also agree with one of my pards in this thread who did not like the name calling. However, I agree... quit whining. The SASS membership dues are more than reasonable. Posse up and have some FUN. My club in Wartrace, TN has been nothing but fun....could be the most fun hobby I ever had.....terribly frustrating at times....but when all your equipment is running right and you are relaxed, it is great fun. All of the Wartrace Regulators are helpful and friendly and will do anything to make your match fun and rewarding. 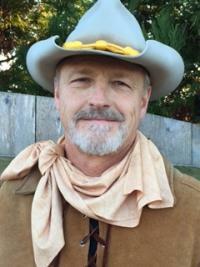 My profession is in the law (real estate and probate, so I am one of the good guys), so I am by nature very suspicious and guarded, but I have NEVER done business or had any dealings with a single cowboy who was not honest and respectful. Most will even ship things you buy on the WIRE CLASSIFIEDS before every receiving their money. How unworldly is that? Wake up guys!! This organization is the best. Support it. That is all I have to say about that.